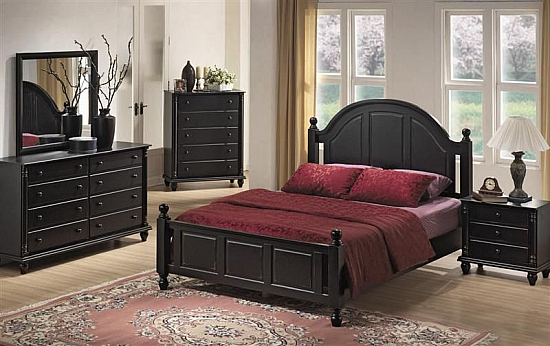 Contemporary style this bedroom set gives you three beautiful pieces in one easy order. Featuring a queen size bed, a bedside table and a chest of drawer, its the perfect way to simplify bedroom decorating. All products are made up of Sheesham Wood which makes it more durable. You can also choose your desired color shade according to your interior. 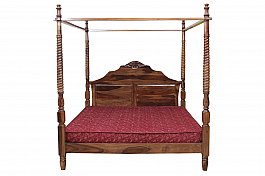 If your bedroom suite is giving traditional look so convert it to modern look by this c.. 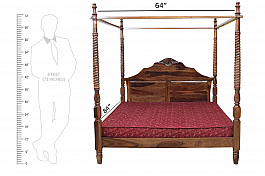 Looking for an antique bed to add that traditional touch to your home decor? Induscraft br..